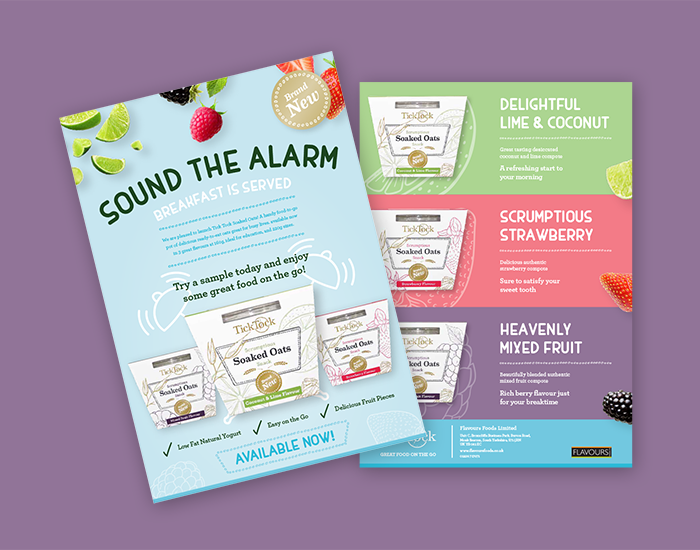 When Flavours Foods, a highly respected food manufacturer, approached us with a new food-to-go concept – we were excited to develop the brand and launch their first journey into the consumer market. The result was ‘Tick Tock – Great food for busy lives’. 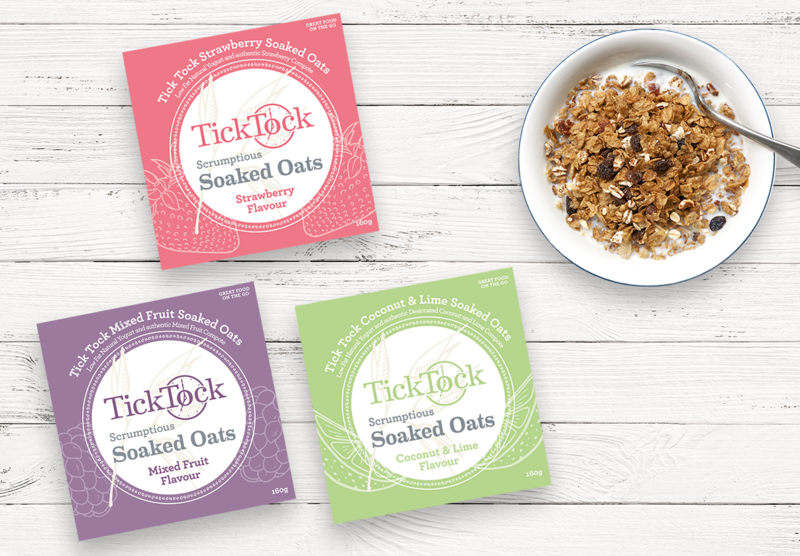 The first product in the Tick Tock line is a range of bircher style soaked oats. 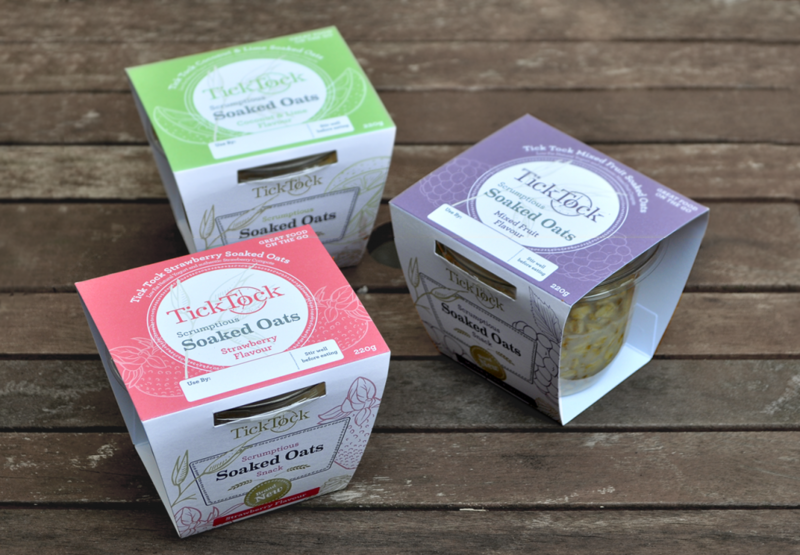 With 3 great flavours developed by the Flavours chefs we enjoyed sampling and developing the product packaging range. 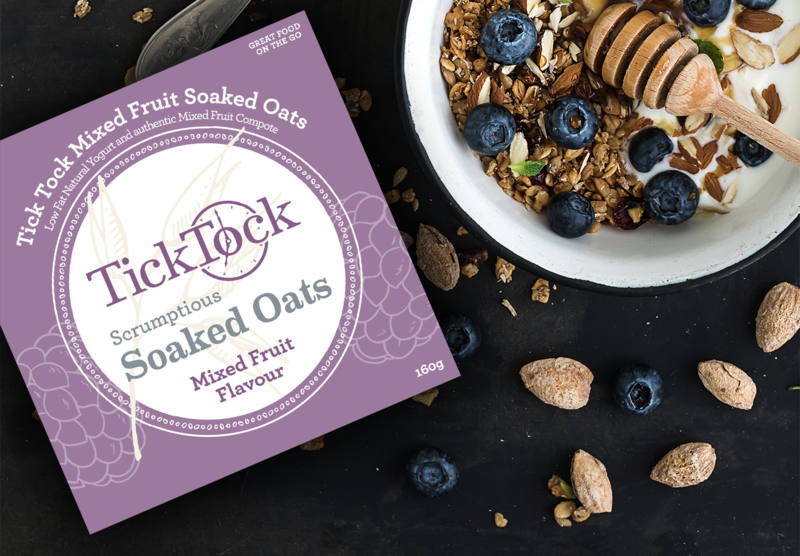 We balanced the ‘convenience focussed’ brand with an organic, rural, quality visual style. We are working hard with Flavours to help them launch the range across in outlets across the North. With some great initial feedback on the product there is a great deal of optimism for future growth of the brand. 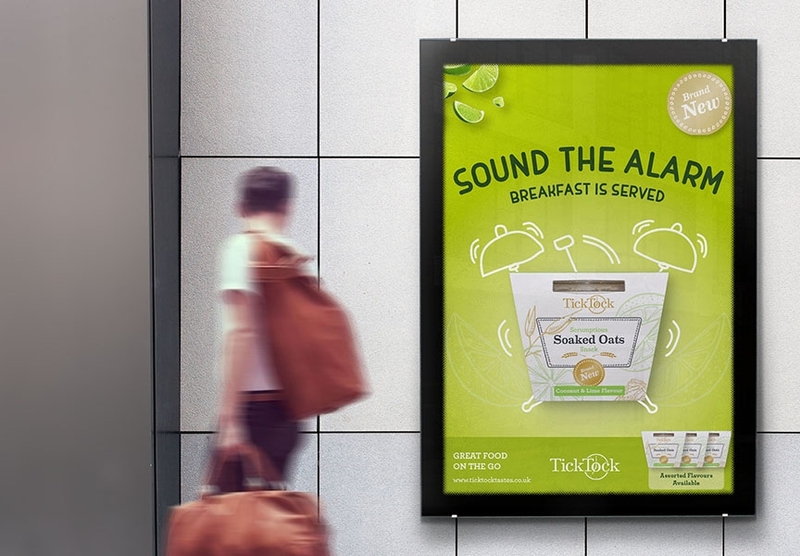 Keep your eye out for Tick Tock and please give it a try, the Coconut & Lime flavour was the most popular in our studio – a very tangy refreshing start to the day. In a rush, grab some great food on the go. We’d love to hear what you think of the product. Launching TickTock has been a really exciting time for the business and A Story Called were a great choice to work with on the project. Creative, professionals and full of ideas – we are really pleased with the results and raring to get the product out and let people try some great food on the go.